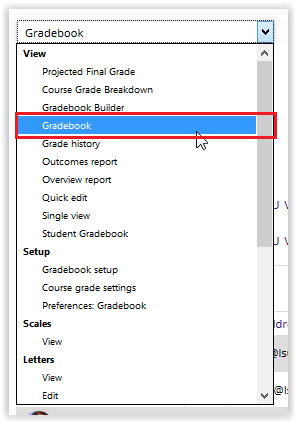 One method to expand and collapse columns in Gradebook view is changing the display. This can be accomplished using the View toggles to the right of the Grade Categories listed. 3. 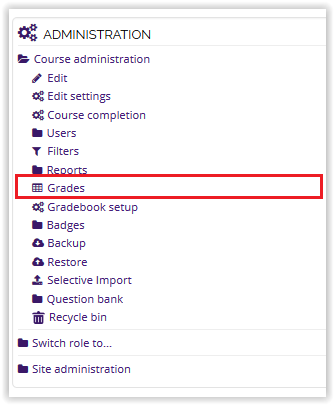 Make sure that you're in Gradebook view using the dropdown at the top of the window. 4. Locate the View toggles to the right of your your course name and each category to change the display. Aggregates only - course total only, without the graded items or category totals. Grades only - graded items and category totals only, without the course total. Full View - graded items, category totals, and course total.